One can concede the point: if you pay close attention, true silence doesn’t exist. Whether one is in space or in nature or in a concert hall, there are intricate sounds that can strike the ear if one stops to listen. Yet for environmentalists, who have often lived in an uneasy truce with modernity, things are not quite that straightforward. The extermination of a species does create a void that can be understood as silence: that particular voice is lost forever. Think of the quagga or the Tasmanian tiger, as examples: we can today theorize about how they might have sounded. We can reconstruct skeletons, in some cases, and make educated guesses about the species’ behavior. Still, for those species that were lost before audio recording technology became mundane, we cannot truly know what those voices contributed to the environmental chorus. Perfect silence may never exist, but there are significant gaps in the global soundscape, places where the record skips or goes fuzzy and unintelligible. By the early 1960s, Rachel Carson’s Silent Spring (1962) galvanized a new generation of American environmentalists with its stark depiction of chemically-degraded gardens and forests that no longer rang with bird songs and animal chatter, due to the ravages of industrial chemicals such as DDT. Carson asks us to imagine a future nature characterized by only “a strange stillness . . . a spring without voices . . . [where] only silence lay over the fields and wood and marsh.” The 1960s, preoccupied with the fragile logic of mutual assured destruction (MAD), was a decade obsessed with the specter of a final, irrevocable silence brought on by the very technological innovations that the modern industrial age made possible: does cosmic noise signify if there is no one left to hear it? Secretary of the Interior Stewart Udall’s The Quiet Crisis (1963) brought the weight of the United States federal government and the urgency of Kennedy’s New Frontier to the environmental crisis, while The Silent Sky (1965), a book by Allan W. Eckert on the extinction of the passenger pigeon, asked us to imagine that final micro-second before death, in which the last passenger pigeon “heard the gust of wind which swept through the tops of the trees with a sound not unlike the murmur of a million different wings.” After that, dead silence. Today, a new generation of artists, scientists and activists are at the forefront of the discipline of soundscape ecology. R. Murray Schafer, who pioneered the Acoustic Ecology program at Simon Fraser University in the 1970s, launched the concept of soundscapes (which can include industrial as well as natural sounds) in The Tuning of the World (1977). Recent work on soundscape ecology explicitly seeks to incorporate sound into an environmentalism dominated by the visual and to use sound to make and reinforce tangible connections to specific places and landscapes. The crucial point of soundscape ecology and its strongest link to environmental policy and wildlife preservation is that the systematic analysis of sounds over time allows us to anticipate encroaching gaps that we do not want, to ensure that as many voices as possible are represented in nature’s chorus. 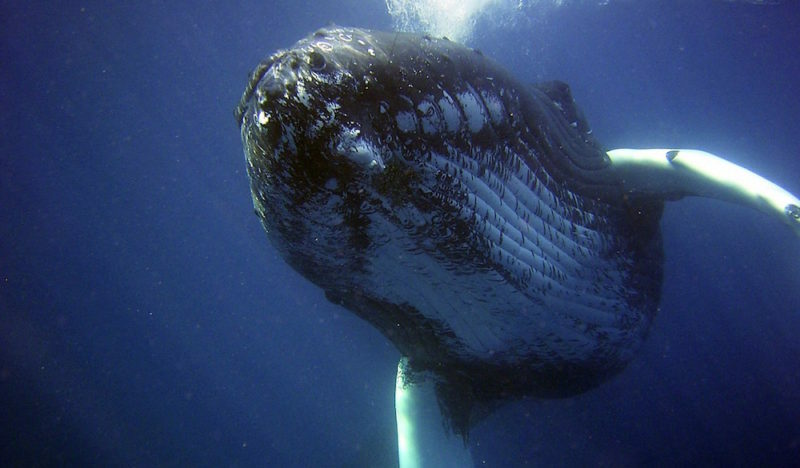 The first environmental sound recordings to break through from science into the mainstream, and to connect with a burgeoning environmental consciousness, were the humpback whale songs released to the public in the 1970s. The United States Navy had data on whale songs as early as the 1950s, collected as a byproduct of an underwater acoustic surveillance system installed to monitor Soviet submarines and sonar codes. These recordings were de-classified in the late 1960s, while the scientist Scott McVay published a ground-breaking article on the data in 1971. Since we live in an era in which the slogan “save the whales” has become a green cliché to many (a flashback reference to “whale song” even made it into a The Simpsons episode), it is important for us to try and backtrack to a time when these sounds were new to almost everyone. Scientists knew that by referring to the whale vocalizations as “songs” they were anthropomorphizing the species; yet it is difficult to know what else one might call them, given that serious listening provides evidence of patterns and intent. Whale songs also crossed from science into popular culture with relative ease. The symphonic composer Alan Havhaness, for example, integrated whale melodies into an orchestral work for the New York Philharmonic in 1970. For music critic Donal Henahan, writing in the New York Times in December 1970, listening to the whale songs was such a primal experience that he wrote, “if, after hearing this (preferably in a dark room) you don’t feel you have been put in touch with your mammalian past, you had best give up listening to vocal music.” The visceral experience these recordings provided became, in essence, the soundtrack of the environmental movement. As the 1970s came to a close, National Geographic magazine, in 1979, inserted a flexible audio disc of whale song recordings into each of 10 million printed copies that went around the world, putting whale songs on a par with some of the most successful album releases of the era. The soundscape ecologist Bryan Pijanowski, at Purdue University, rightfully asks, “if we disconnect with the sounds of nature, will we continue to respect and sustain nature?” It is a serious question, in fact a crucial one, that brings us full circle to the paradox at the center of soundscape ecology: namely, how can we ensure that the amassing of these sounds, however important in a scientific/ecological sense, won’t finally produce only a Museum of Lost Sounds rather than audibly vital habitats? This is also the point at which soundscape ecology as science elides into art. Huia Transcriptions, by Sally Ann McIntyre, an Australian/New Zealand artist, asks us to listen to a music box in a forest playing the delicate calls of the huia, a New Zealand species of bird that went extinct in 1907 (due primarily to over-hunting by humans who prized its feathers). McIntyre’s work makes us aware that we are listening to the huia at two removes: not only is the huia extinct, but the sounds we hear are actually re-mediations taken from the work of Mr. H. T. Carver, who had the presence of mind to notate the call of the huia in the late 1800s. We also need to consider how soundscape ecology as both science and art takes on a particular cast when placed in the context of so-called “de-extinction.” Since 2013, abetted by several deeply resourced Silicon Valley advocates and high-powered ambassadors such as the Revive and Restore Foundation, de-extinction, broadly defined, seeks to use advanced biotechnologies such as reproductive cloning (using closely related surrogate species) and gene editing to “bring back” certain extinct species. Due to significant advances in extracting and analyzing ancient DNA, the idea is not quite as fanciful as it may sound. In 2003, for example, Italian scientists managed to bring back in the laboratory, for seven minutes, a cloned bucardo, a notable achievement in that the last extant member of the species had died in 2000. Of course, three-year-old DNA is significantly different in quality from hundred-or-four thousand-year-old DNA, hence the intense scientific controversy attending the notion of “bringing back” such species as the Tasmanian tiger or the woolly mammoth. Still, biotechnology continues its rapid evolution, and proponents contend that genome editing tools such as CRISPR-Cas 9 may open up the possibility of splicing the DNA of an extinct species such as the woolly mammoth into the genome of a related extant species such as the Asian elephant, thereby technically ‘resurrecting’ this Ice Age icon. That we can even seriously discuss de-extinction today is indicative of a bio-cybernetic age, an era in which science fiction and fact collide, merge and separate in a constant kaleidoscope of possibilities. Yet if we do manage to bring back certain long-lost species, they are going to make some noise. Think back, for example, to the movie version of Jurassic Park (1993). Director Steven Speilberg knew that the audience needed to hear the T-Rex before it saw it, that the sounds created the suspense. The classic six-minute scene begins with the first visitors to Jurassic Park sitting stranded in their flimsy electric cars (the power has gone out), hot and bored, vaguely irritated by the absence of all those marauding monsters that they came to see. Then, the precocious kid in the car (our surrogate) hears, faintly but clearly, a distant rhythmic stomping sound that reverberates under the ground and causes the water glasses on the dashboard to shake. He motions to everyone in the car to wake-up, stop moving, and to listen. The adult tentatively mutters that ‘maybe, it’s just the power trying to come back on?’ As anticipation builds, we hear a creaking gate and then see a large claw attached to a very large reptilian arm disappear back into the enclosure. A few more micro-seconds tick by, the gate falls, and then we see it: a T-Rex that lets out an angry dinosaur roar which sounds as if it comes hurtling out of the blackest depths of ancient time itself. Just the power trying to come back on, indeed. Amy Fletcher lives and works in Christchurch, New Zealand, where her research focuses on the complex relationship between animals, technologies, and environmental politics.